Unfortunately, the Saints have not been able to get a team. Kingstonian stepped in, but then lost players and have now also dropped out. Next game will hopefully be on March 3rd. WIFC suffered a 4th defeat in their last 5 IFA games, as a vastly improved Dulwich Hamlet side took the honours in a see-saw match at Belair Park last Saturday. 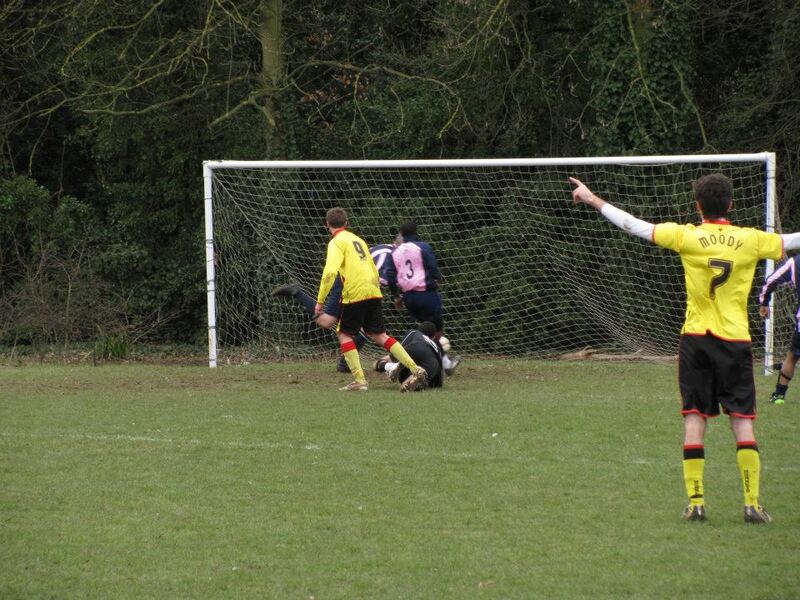 A penalty from Joel Moody and a deflected Stuart Nicholls strike gave WIFC a two-goal lead, but a calamitous last 20 minutes saw Dulwich spring a surprise with a great comeback. 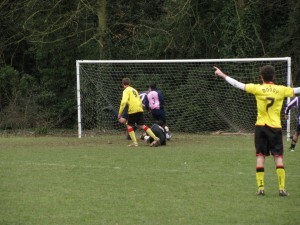 Full report to follow on the Watford Observer site and more pictures in the WIFC facebook group. WIFC team – Jeremy Hinds; Ed Sterry, Dan Willis, Martin Pollard, Phil McBride; Joel Moody, Stuart Nicholls, James Hannaford, Laurence Wells; Steve Eustice, Warren Flanagan. Subs Richard Murphy & Matt Wells. 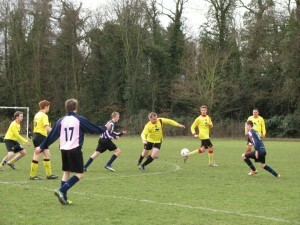 WIFC were beaten by the better side at Parmiters last Saturday.. goals from Joel Moody, Dave Soloway and Matt Ainsley. Apologies for the lack of a full report, was a busy week.. if anyone fancies writing one up. please do and Email it across..